Includes pricing for the courthouse technology session from 9 - 11 a.m. and the trial tips and prep session from 11:15 - 1 p.m. which includes lunch. *Includes admission to courthouse technology from 9 a.m. to 11 a.m. only. *Includes admission to trial preparation session only from 11:15 a.m. - 1 p.m. only. This special rate is offered for Student Members of NEFPA or students currently enrolled in a paralegal program. This rate includes attendance for both sessions and lunch. 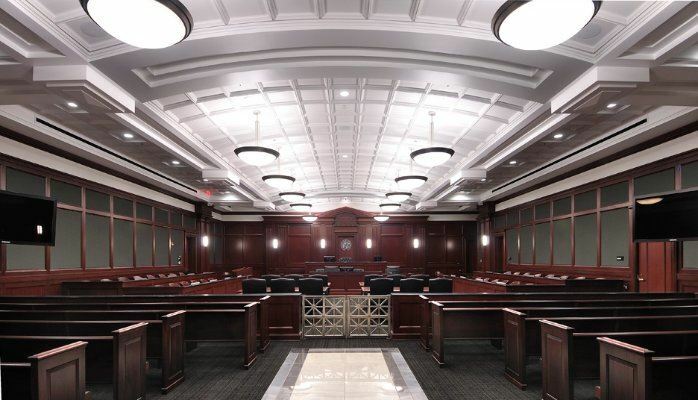 Join us as we learn about the new updates at the courthouse for evidence presentation in a beautiful courtroom at the Duval County courthouse featuring Mike Smith, Courthouse Technology Officer for the Fourth Judicial Circuit from 9 - 11 a.m., and obtain valuable trial preparation tools and techniques from local prestigious trial attorneys, Howard Coker, Esq. and Daniel Iracki, Esq. from 11:15 - 1 p.m.! You have the option to attend the full seminar from 9 a.m. to 1 p.m. or attend either the morning or afternoon session*. NEFPA Members: $50 for both sessions or $35/session. Non-Members: $75 for both sessions or $60/session. *Lunch is included if you attend the full seminar or the afternoon session on trial preparation. Lunch is not included if you attend the courthouse technology session only.